Our low moisture carpet cleaning process leaves your carpets sparkling clean and dry in 30-90 minutes. Our process is non toxic and safe for your family and pets. Our goal is to deep clean your carpets and remove as many stains as possible without soaking your carpets and leaving them wet for hours or days. Our process and the solutions we use will NEVER penetrate the backing of your carpet, padding or sub-floor which will not only help keep your carpets healthier and mold free but also allows them to be dry and ready to use in approximately 1 hour! Initial Walk-through and Consultation – Our trained technician will walk through the area with you and address any concerns you may have as well as confirm the areas to be cleaned. Feel free to ask us anything! Thoroughly vacuum all areas to be cleaned – Even though we do ask that the home be initially vacuumed by the client, we will provide a second deep and thorough vacuuming of the areas to ensure a better over-all cleaning result. Pre-Spray and Spot Treat All Areas – We will lightly pre-spray your carpeted areas with a customized mix of non-toxic cleaning solutions totally based on your carpet’s current needs. The presence of pets, stains observed and other factors will determine the solutions used in the cleaning of your carpets. 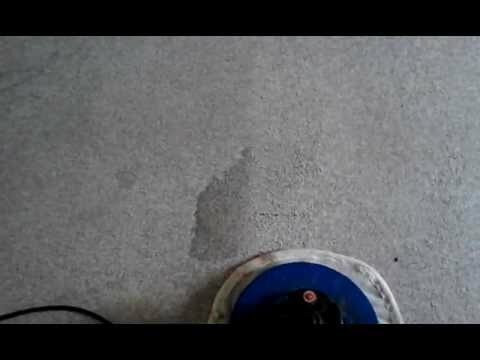 Deep Clean all requested areas – Our rotary and oscillating pad machines will scrub all sides of your carpet’s individual fibers causing the dirt and other foreign material to be stripped away from the fiber and absorbed onto specially designed microfiber and cotton blended pads and bonnets. Groom or Vacuum (if necessary) – When necessary we will utilize carpet grooming rakes or vacuums to post-groom your carpet making it look nicer and dry faster! Final Consultation – Our trained technician will go over any special instructions, ideas to help you care for your carpet, future cleaning schedule and any questions you may have.